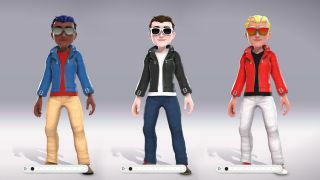 Microsoft has been talking about its fully customizable avatars for over a year now and now, after many delays and leaks, they’re finally launching for Xbox Insiders on its Alpha and Alpha Skip Ahead rings. Anyone who’s ever used an in-game character creator like those in The Sims will be familiar with what’s on offer in the Xbox Avatar Editor. Users will be able to completely create their own character, choosing gender, body shape and type, clothing, hair, makeup and more. It’s also possible to delve into an extensive color selector to make sure you get the exact shades you’re looking for. Microsoft has said that it will add even more clothing, props, moods and accessories in the future and there will be an avatar store where it’ll be possible to purchase new items. Eventually avatars will be integrated into the dashboard but at the moment it’s only the creator that’s available. It’s possible to turn your avatar into your Gamerpic by using the new Photobooth option too. You’ll be able to choose from a range of backgrounds, poses and angles to get a Gamperic that’s completely personalised for you. Xbox Insiders will be able to access the new feature from 12pm PDT/8pm BST on June 19. Microsoft hasn’t revealed when it will be opening up the Avatar Editor to all of its users just yet but now that the feature has reached Insider testing stages it hopefully shouldn’t be too much longer.